The hotel and setting is beautiful. Cannot say enough about the staff. Very polite and helpful. The rooms are very roomy and nice. Gym is great. I went for a weekendFor work. I took my children because they had an indoor pool. The kids had a blast the restaurant is open until 10 so we all had a late night snacks. I was able to get some work done and the kids enjoyed themselves. Where to find Oxford hotels near an airport? Where can I find hotels in Oxford that are near tourist attractions? 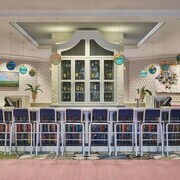 Arranging a bit of time in Northeast Mississippi and would like to stay close to central Oxford? About 5 hotels and apartments are located within a 0.1-kilometre (0.06-mile) radius of Oxford's center. Finding a place close to the bright lights of inner-city Oxford couldn't be easier. 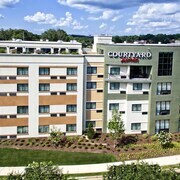 Expedia's booking page lists the Courtyard by Marriott Oxford and Graduate Oxford, which are situated within a 1-kilometre (0.6-mile) radius of Oxford's center. The Rodeway Inn is one of a small selection of no-frills places to stay in Oxford. 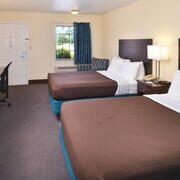 The Super 8 Oxford MS and the Quality Inn & Suites are popular places to stay that may match your requirements. 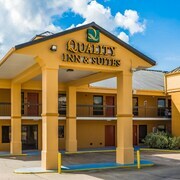 The Super 8 Oxford MS can be found 4 kilometres (2 miles) from downtown Oxford and the Quality Inn & Suites is situated 3 kilometres (2 miles) away. 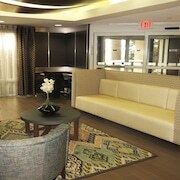 Alternatively, you might like to investigate finding a room at the TownePlace Suites Oxford. This Expedia-listed hotel can be found 2 kilometres (1 mile) from the main part of Oxford. For travelers who would like to enjoy more of the rolling hills in this region of United States of America, you may like to plan extra days in other parts of Northeast Mississippi. Whether you engage in common local activities, such as mountain biking, hiking and horse riding, or just travel around to explore the attractions, you will be able to book comfortable hotel accommodation in the area. Looking for things to do? Spend the day visiting Tupelo National Battlefield and Oren Dunn City Museum, which you'll find in Tupelo, 75 kilometres (47 miles) to the east of Oxford. 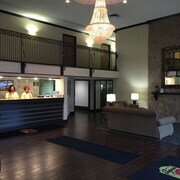 Should you wish to spend a night or two in Tupelo, check out the Hilton Garden Inn Tupelo, MS and Hampton Inn & Suites Tupelo/Barnes Crossing. 40 kilometres (25 miles) to the west of Oxford, you'll also find Batesville, home to the Holiday Inn Batesville and Hampton Inn Batesville. Should you choose to stay in Batesville, be sure to visit the Factory Stores At Batesville and Panola Country Club. Tupelo Regional Airport is 70 kilometres (44 miles) from downtown Oxford. Comfort Inn is a short ride away. What are the most popular Oxford hotels? Are there hotels in other cities near Oxford? 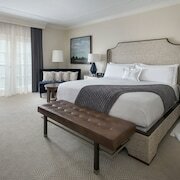 What other types of accommodations are available in Oxford? Explore Oxford with Expedia.ca’s Travel Guides to find the best flights, cars, holiday packages and more!